Kurukulle is a goddess whose body is usually depicted in red with four arms, holding a bow and arrow made of flowers in one pair of hands and a hook and noose of flowers in the other pair. 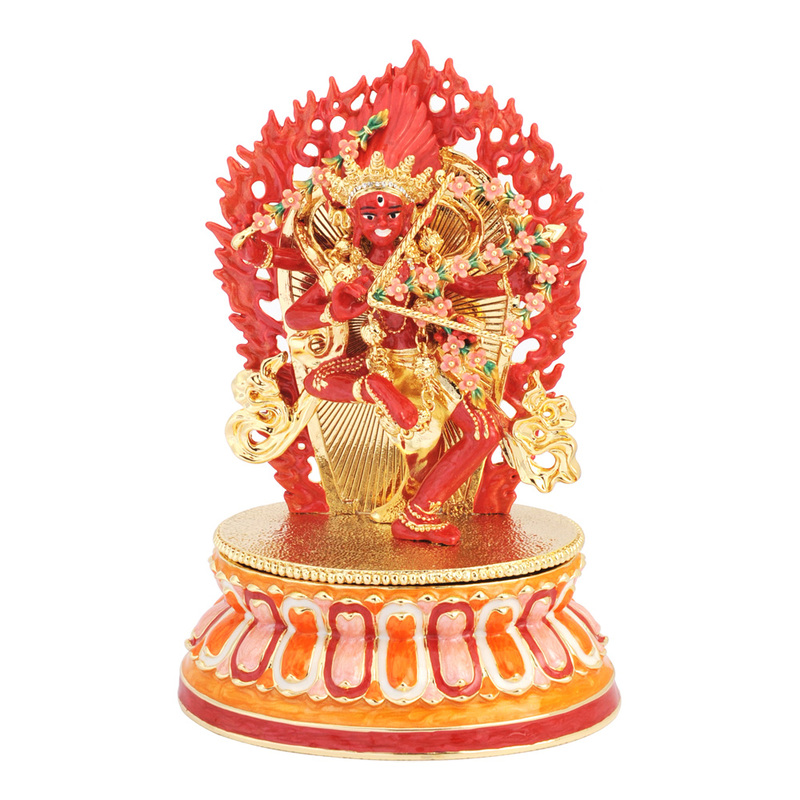 Inviting this splendid Goddess Kurukulle into your home will give a boost to your attractiveness and love life. Also known as the Kurukulla or the Red Tara, she is said to have be the most important of the three female emanations of the Amitabha Buddha. 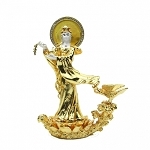 This is the first Tara of the 21 Taras who grants empowerment that bring you authority and helps you gain the respect of others and good networking. If you Mouth of Chi ( Main door is at the South ) during 2019, star # 3 may created conflict with people, legal entanglement and irritable temper. Place Goddess Kurakula near you front door to nurture peace and harmony. It has a hidden compartment, easily open and closed with a magnetic clasp - this serves as a “wish fulfilling box”, in which the beholder inscribes their wish on a slip of paper and locks it in the compartment. 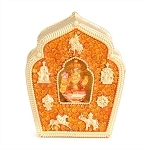 You should offer her some sandalwood incense as well as fresh flowers and chant her mantra daily for maximum effect.